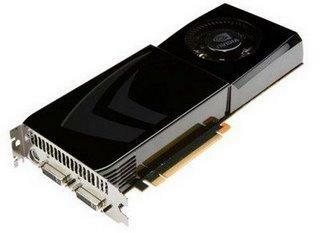 Taiwanese vendor Sparkle has unveiled its latest graphics card, the GeForce GTX 285 Plus. It boasts what the company calls an 'unapproachable cooling solution'. The specialty of this video card is the Accelero Xtreme cooling solution from Arctic Cooling which Sparkle claims is a first for graphic cards. The Accelero Xtreme features 5 heat pipes, 107 fins and 3 PWM fans. The radical optimized air flow design is targeting to cool effectively up to 240 Watt heat dissipation. The Accelero Xtreme can dramatically lower the temperature of the GPU at least 20ºC lower than the stock cooler. Together with the integrated memory and voltage regulator cooling, the Accelero Xtreme not only enhances the over clocking potential but also extends the card's service life. The three PWM fans from Accelero Xtreme bring maximum air flow but silently, thanks to the low noise impellor design and the patented fan holder which eliminates the humming noise. The GTX285 runs at a clock speed of 666MHz, is equipped with 1GB memory that runs at 2520MHz and has 240 stream processors clocked at 1512Mhz. It has dual DVI output and HDMI is available via an adapter. Other features include a 3-way SLI which allows users to use two more similar cards on compatible motherboards for higher gaming performance. The 2nd generation Pure Video allows more efficient decoding of compatible high definition video files.